Join today and start earning money by promoting the most easy‑to‑use VPN in the market. Make some honey for every customer you refer. Earn up to 100% commission on each sale! When you join the TunnelBear affiliate program, we'll give you a unique link that you can share - whether it's on your blog, social media timeline, or an ad. You score some honey ($$$) for every subscriber that buys a TunnelBear subscription through your link. 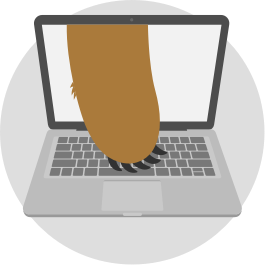 Monetize your site by adding TunnelBear affiliate links to your VPN-related content, or take advantage of our bear-filled banners to make the most of your traffic. Do you speak the language of PPC, media buys, and savvy content? 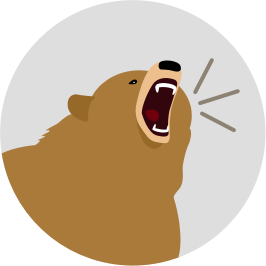 Leverage your preferred marketing mediums to share TunnelBear with the world! Are you a social bear? 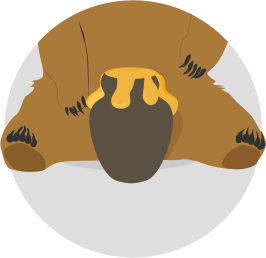 TunnelBear is a highly recommended app for travelers, mobile workers, students, and technophiles alike. Tell your friends on Twitter and Facebook! Earn up to $30 per sale! Commissions are paid out via PayPal as a one-time payment. What makes the TunnelBear affiliate program right for you? Our simple, trusted apps and tried-and-tested funnel mean that your traffic will convert! 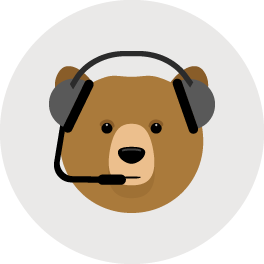 As an affiliate, you're required to clearly disclose that you will be receiving compensation from TunnelBear in return for endorsing our service. No one likes unsolicited posts on forums, bulk emails, or sleazy popups. When sharing TunnelBear, keep it clean. Affiliates who do not comply with our strict standards will be banned from of our Affiliate program, and have their commissions revoked. We have a zero-pawlerance policy. How can I track my referrals and clicks? Our web-based affiliate console is your one-stop shop for campaign management. The affiliate console provides you with real-time data on the number of impressions, clicks, and conversions that your TunnelBear referral link is generating. We pay out on the first of every month for commission generated the previous month. If the first lands on a weekend, expect to see your PayPal transfer the next working day. Which method of payment do you support? We pay out commission in $USD via PayPal to the designated email you linked with your account. It’s secure, instant, and free for you! PayPal allows you to spend this money in an assortment of ways, or withdraw directly to your bank account. 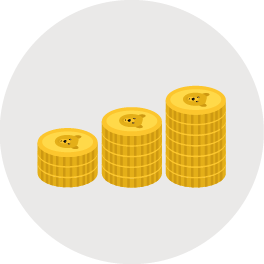 Within the Offers section of the affiliate console, we offer an assortment of bear-ified banners and creatives that you can use to boost conversions on your website. Where can I use my referral link? You can use your referral link anywhere! Send it to friends and family, embed it in a review or blog post about TunnelBear, or share it on your social networks. We'll follow up with them, and give them 48 hours to make it right. Affiliates who are unresponsive will be removed from our Affiliate program.